Pendergrass was known for ballads such as "Turn Off the Lights," and "Love TKO"
(CNN) -- R&B legend Teddy Pendergrass died Wednesday evening, his former publicist said. He was 59. Pendergrass, known for smash love ballads such as "Turn Off the Lights" and "Love TKO," died after a long illness, according to Lisa Barbaris, who described herself as a close friend and his last publicist. He died at a hospital in Philadelphia, Pennsylvania, where he was born. His family did not reveal details about his illness, but said it was related to complications from a 1982 car accident, Barbaris said. "His beloved family surrounded him. The world has lost one of its greatest voices and performers," a statement from Barbaris said. The crooner, who many affectionately knew as just "Teddy," started in music with a group called the Cadillacs in the late 1960s and was still with the group when it merged with Harold Melvin and the Blue Notes, according to his official Web site. He started as a drummer, but soon began to sing lead after the group heard his powerful voice. In 1972, Pendergrass's baritone could be heard on the classic Harold Melvin and the Blue Notes song "If You Don't Know Me by Now." The song became a No. 1 hit across the country and led Pendergrass to many other hits and accolades. 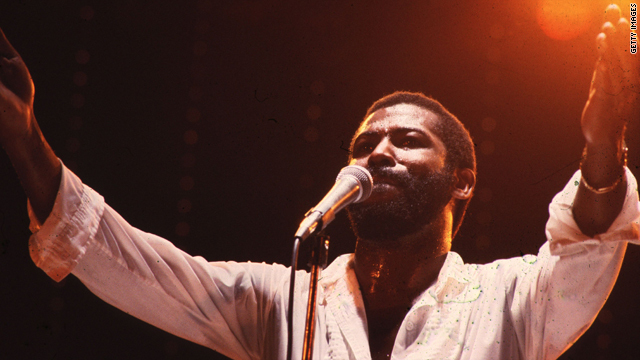 After going solo, Pendergrass received several Grammy nominations, Billboard's 1977 Pop Album New Artist Award and an American Music Award for best R&B performer of 1978, Barbaris said. In 1982, Pendergrass was involved in a car accident that left him paralyzed. But Pendergrass returned to the studio in 1984 in his wheelchair to record an album. Before his death, Pendergrass was working on a musical documenting his life, called "I Am Who I Am."